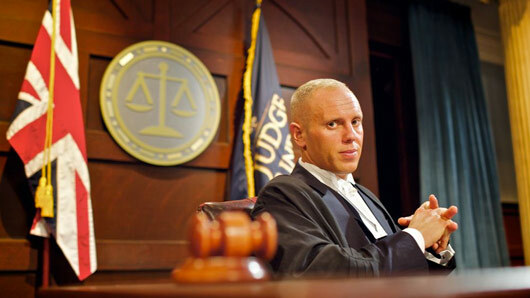 Judge Rinder has separated from his partner Seth Cummings. After four years of marriage and 11 years together as a couple, Judge Rinder has reportedly been left “very upset about the situation” after he and his husband decided to split. However, they insist no one else was involved in the break-up. A source close to Rinder told The Sun: “Rob has never spoken about his relationship and nothing will change on that front. The TV judge, real name Robert Rinder, wed Cummings in Ibiza in 2013, in a civil ceremony officiated by actor Benedict Cumberbatch. Robert met the Sherlock actor at Manchester University and served as his best man in 2015.